Organic, natural, vegan skincare products! What's more you ask, I would say zero waste personal products. Yes, that's the underlying objective of the brand which we are going to talk about today, Bare Necessities. It is Bangalore based brand which focuses on using the best ingredients that are zero waste and ethically sourced. Also they boast of keeping their products bare with minimum ingredient list which are not designed to last and are heart made as well as handmade. The packaging they offer is also recyclable which is glass and metal cap jars. The products were sent to me in a brown paper bag with a small hand written note. Let's see what they have more to say and then the review of some of their products. 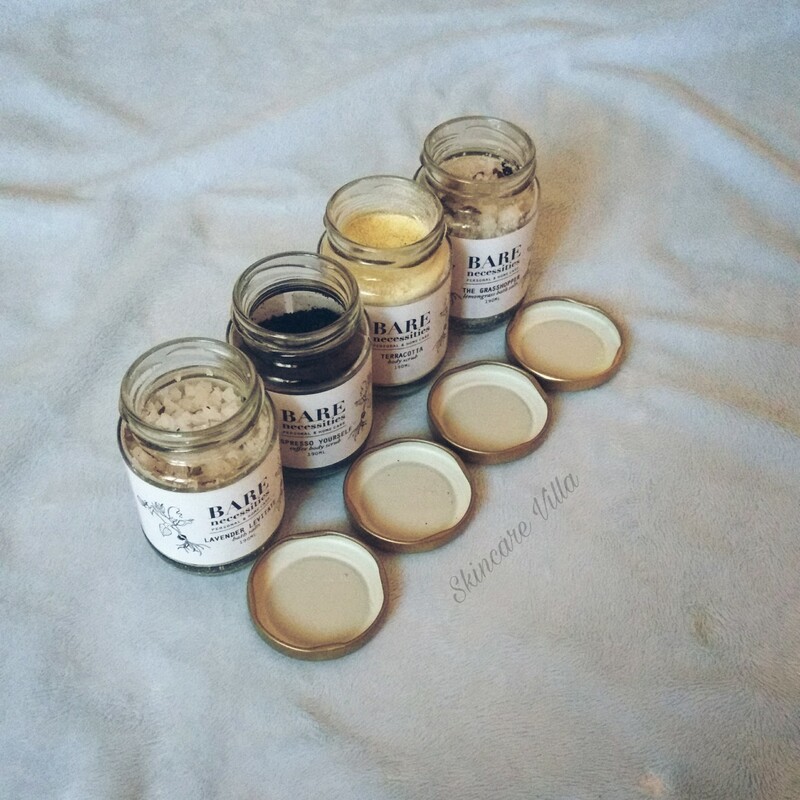 Bare Necessities is the brainchild of Sahar Mansoor, who currently lives a zero waste lifestyle in Bangalore, India. A University of Cambridge alumna, with a background in environmental planning, policy and law. Sahar formerly worked at the World Health Organization in Geneva. Currently, Sahar works at SELCO Foundation on decentralized energy policy and is a freelancer for Huffington Post. 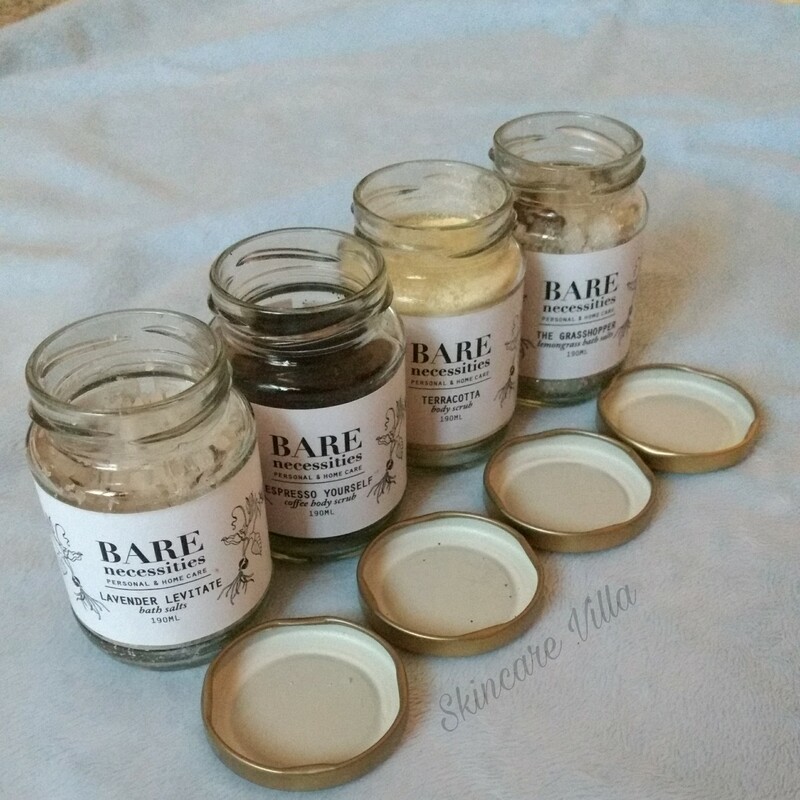 At Bare Necessities, we believe in creating products that care for the environment as much as they care for you. Powered by nourishing, body-loving bare ingredients, our products are formulated with purity in mind, so you can feel good about the products you use in more ways than one. To make sure we always stick to our guns and our goal of sustainability, we only use organic, local and fair trade ingredients. If you’re like us, you’ll be happy to know all of our products are non-toxic, non-GMO, and cruelty-free. Plus, all of our packaging is 100% recyclable, which means nothing ends up in a landfill. We handcraft each of our products with love in Bangalore, India. Coffee aficionados this is for you! A great body scrub which not only removes dead skin cells but also provides antioxidants to the skin as well as reduces cellulite. I enjoyed using this scrub although just for body. I haven't tried it on face yet. 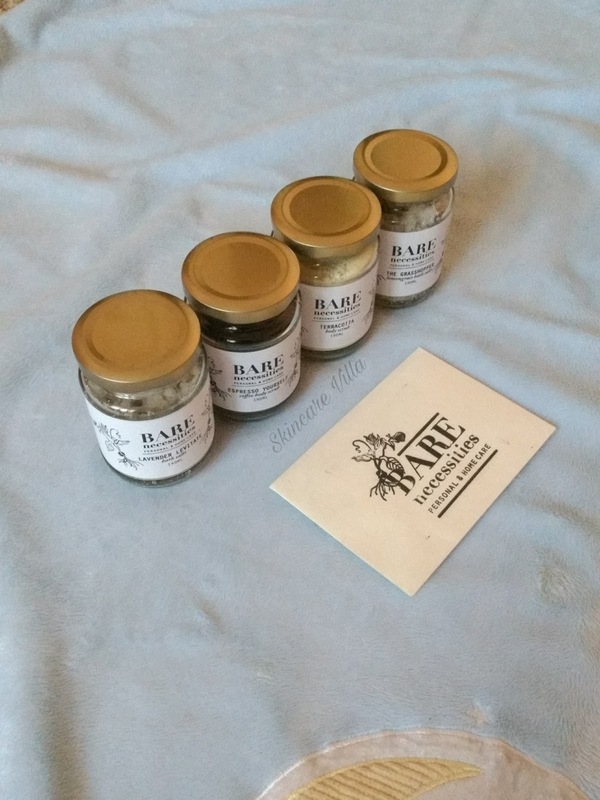 A refreshing bath time is what I experienced after using these bath salts. My bathroom was smelling as fresh as my skin. The bath salts are a perfect way of unwinding after a hectic, sweaty day in these summers. Moreover the salts also help in detoxifying the skin. I often love using this one as a foot soak also. Lavender is used for alleviating stress and tension. I didn't experience anything special after using this bath salt and would prefer using it as a foot soak. This body scrub makes your skin so soft that you cannot keep your hands off your face and hands. Although the scrubbing effect offered by this body scrub is a bit less than expected, I still loved using it because of the fresh orange peel fragrance it offers. However I plan to use this as a face pack by adding turmeric and milk to it. Overall am impressed with the 'hatke' mission of the brand since what we need today is waste management. I was so inspired by the mission of this brand that when I made a coffee + rose infusion oil I didn't throw away the rose petals and coffee, rather I made it into a scrub by adding oats to it and used as a body scrub 😊😀. I would highly recommend you to try the brand.